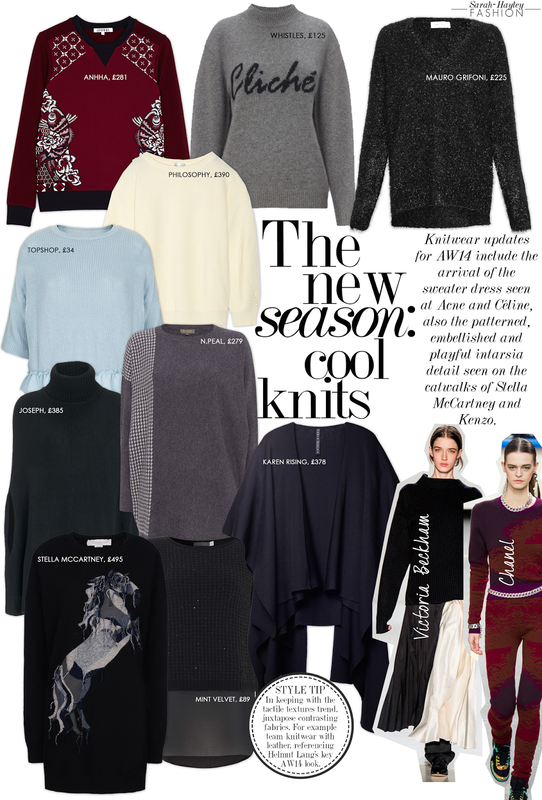 My favourite element when looking forward to Autumn Winter is the arrival of the key Knitwear shapes. This season the look is cosy and relaxed with patterned sweaters, elongated tunics and knitted dresses. I have found 10 perfect styles, available online and on the high street, all featuring with individual design details. My favourite is AnhHa's statement embellished sweater, wear with a leather skirt or trousers for an effortlessly stylish and key season look.